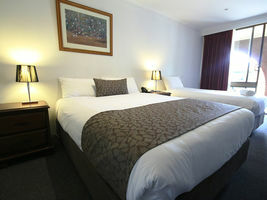 The Bell Tower Inn offers our local and international guests quality Ballarat accommodation, and also caters for our valued corporate guests and group tours. 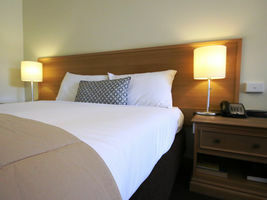 Whether you require accommodation for one or more, we can provide you with outstanding accommodation in Ballarat at a price that fits your budget. The Bell Tower Inn is Ballarat. Set on over two acres and framed by the beautiful Avenue of Honour, it's a perfect base for exploring the historically famous town of Ballarat, and all the wonders of the surrounding region. 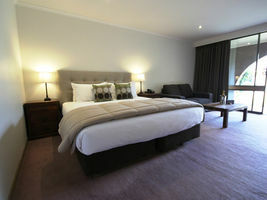 Newly refurbished room with a luxurious queen bed and couch. 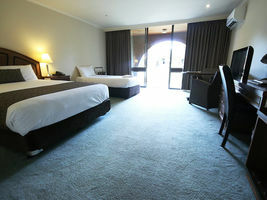 All rooms have a full ensuite and bath. Ground floor room with one queen and one single bed.and 2 single beds in the second room. Full ensuite with bath and shower. 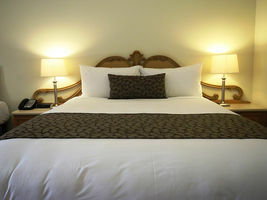 Ideal for a family of 4, with ground floor room consisting of one queen and 2 single beds in the room. Ground floor room with one king bed and a couch. Full ensuite with spa bath and shower. Ground floor room with one queen and one single bed.